Hey Booth Nation! I’m Erica Nollen, a second year at Booth studying marketing and strategic management. After a few years of working in management consulting and marketing strategy, I’ve come back to my Midwestern roots for my MBA. In addition to its proximity to the best state in the union (Ohio–my Buckeye state pride runs deep), I chose to come to Booth for its diverse student body, hands-on learning opportunities and flexible curriculum and my experience thus far has exceeded my expectations. One of my favorite parts of being at Booth is getting to hear stories and glean insights from today’s business and organizational leaders. From daily Lunch and Learns, the weekly Alumni Breakfast Series, annual conferences and more, we’re fortunate at Booth to have so many opportunities to pick the brains of brilliant business minds that visit campus. It really keeps the big picture of why we’re in business school in focus, which sometimes gets lost in the details of balancing a statement of cash flows or calculating a project’s weighted average cost of capital. 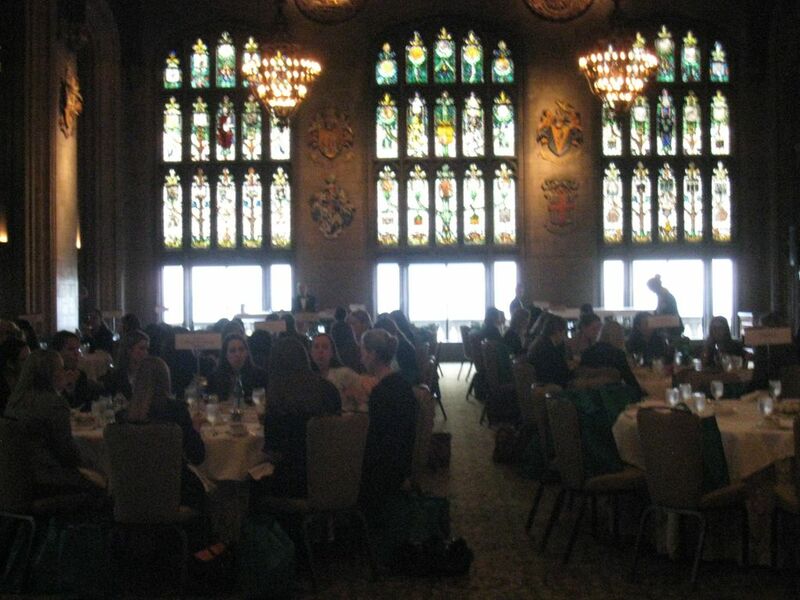 Conference Season commenced for many female Booth students on Friday, October 19 when the Chicago Women in Business (CWiB) Group hosted its annual conference at the storied University Club of Chicago. Most professionally-focused clubs host annual conferences which not only draw in impressive alumni and business leaders from across the world, but also provide some of the best meals of the year (it’s embarrassing to admit how much I eat cereal for dinner). The all-star team of CWiB co-chairs and volunteers did a tremendous job putting this conference together for the benefit of all attendees and participants. 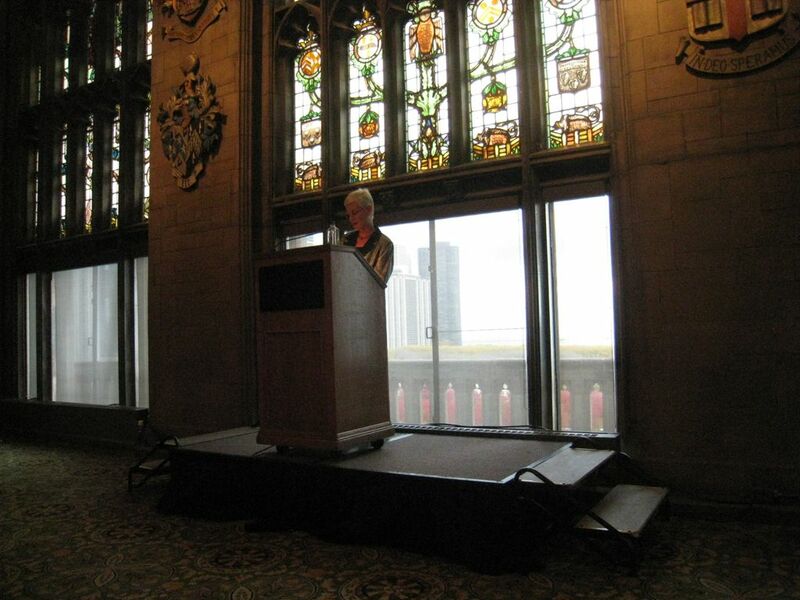 The theme of the conference, “finding a personal path to success”, was woven throughout the afternoon’s sessions. Two seasoned Booth alumnae gave heartfelt key note speeches connecting their business school experiences to the challenges they have thus far conquered in their professional journeys. Audra Lalley, ’98, the VP of Barclay’s Wealth Management, inspired the audience to set ambitious goals and seek balance in life with her account of training for an Ironman while working through the aftermath of the financial crisis. Karen Greenbaum, ’02, Partner at Nick Pierce & Associates Inc., captivated conference attendees with her story of rising through the ranks of Mercer to COO and the key ingredients to her successes inside and outside the office. 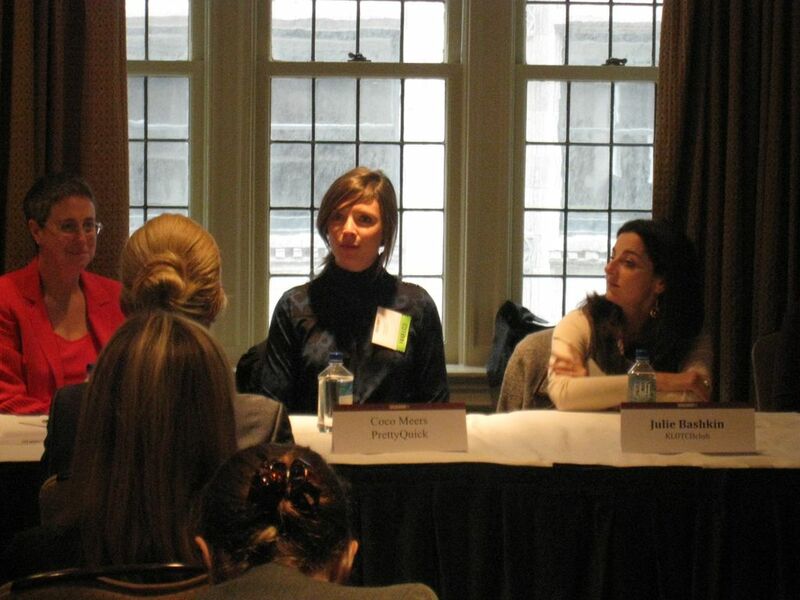 Panel breakouts covered topics including speed mentoring, managing career changes, entrepreneurship and negotiating. After the formal sessions, students mingled with one another and company representatives over drinks and finger foods at a networking reception. As I walked back to my apartment after the close of the conference, I felt inspired to chase my professional dreams and excited to attend other conferences and events offered through Booth, the University of Chicago, and the greater Chicago community.